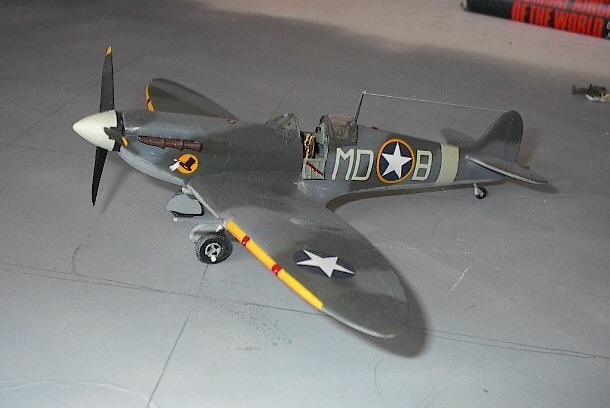 This is the 1/48 Airfix Spifire Mk. V in the markings of Lt. LeRoy Gover of the 4th Fighter Group, USAAF, after transfer from the RAF “Eagle Squadron” at Debden. Decals for this model came from Aeromaster. Nice job! I built the same bird in 1/72nd scale using the Revell kit.